Every island has a story to tell, but not all can guarantee a fairy tale ending! With the recent news that Isla Centinela has been placed up for sale, Private Island News prepares to blow you away with the seven of the most beautiful private island castles, as presented by Vladi Private Islands, the world record holder of most successful private island sales. Boasting breath-taking gardens, enchanting architecture and a whole lot of charm, these islands are guaranteed to make your Disney-inspired dreams come true! You too could be King (or Queen!) 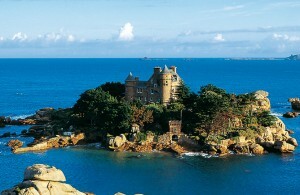 of the Castle with this fabulous French private island. Eccentric and enchanting in equal measure, Costaérès is a fairy-tale location like no other. Constructed by a Polish mathematician in 1893, the pretty pink granite castle now belongs to popular German comedian Dieter Hallervorden but – island aficionados rejoice – can also be rented out exclusively via Vladi Island Travel. 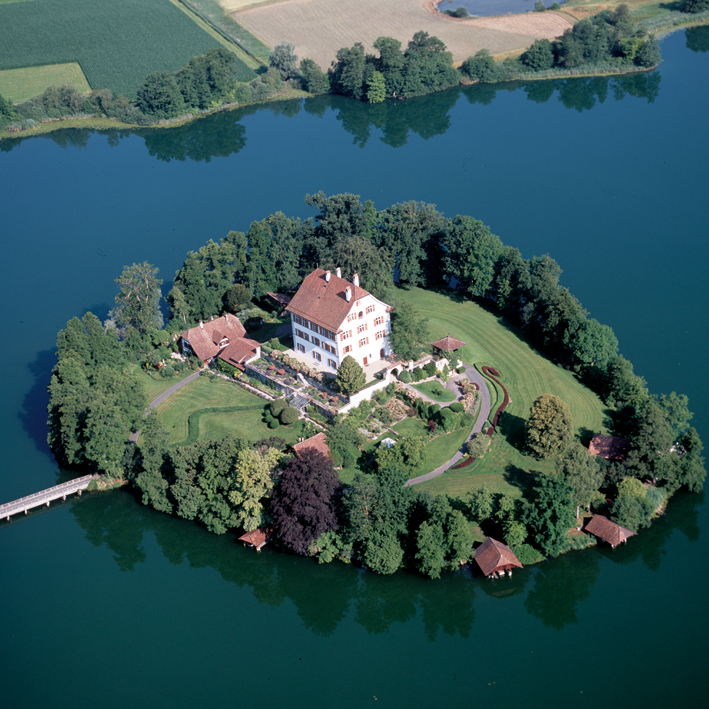 This beautiful castle island is a dream come true for its owner, who discovered it during a training exercise with the Swiss Army. 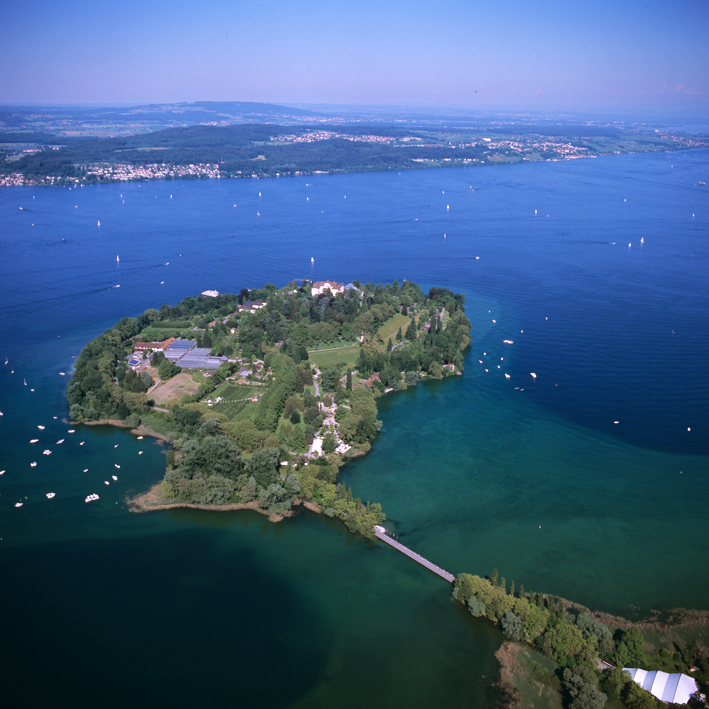 Memories of this idyllic island stayed with the young officer long after his military service was complete, with dreams of a life on Mauensee accompanying him throughout his career as an economic diplomat and art patron. In 1998, however, he finally took the plunge, moving into the beautifully restored 12th century estate with his wife for a real fairy tale ending. Constructed in 1910 by Royal Navy Captain Vincenzo Richieri, the enchanted neo-Gothic castle on Isola di Loreto is truly a lesson in decadence – a small piece of paradise with a magnificent marina and a wonderful well-tended garden. 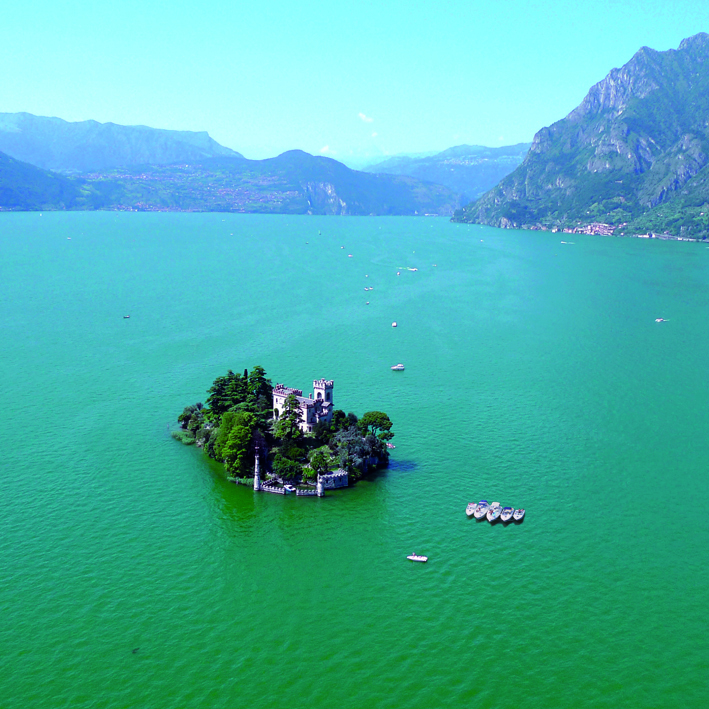 Looming over Lombardy’s Lake Iseo, the decadent castle island has humble beginnings, however, and once hosted a 15th century convent of Clarisse nuns, each of whom took a vow of poverty as a mark of their devotion to God. 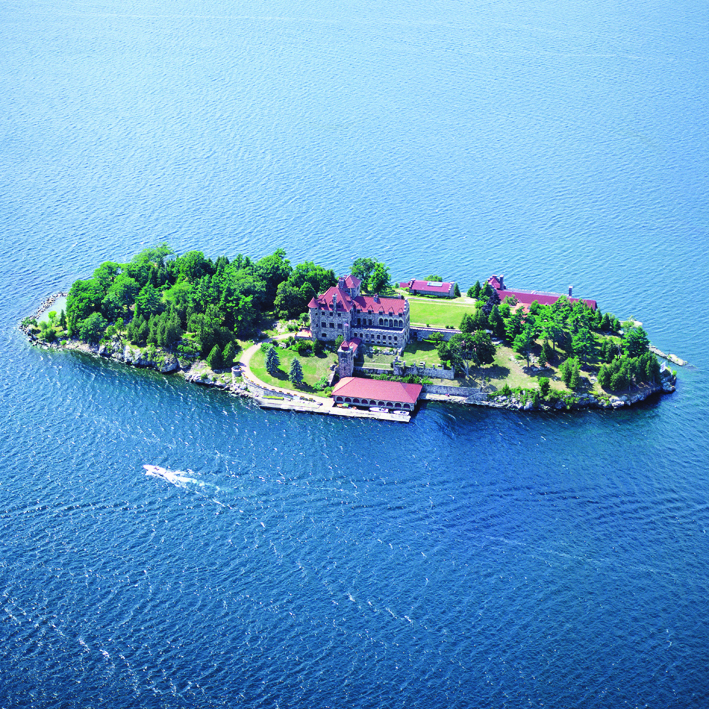 Of all the islands in America’s Thousand Islands region, one in particular stands head and shoulders above the rest: Dark Island. 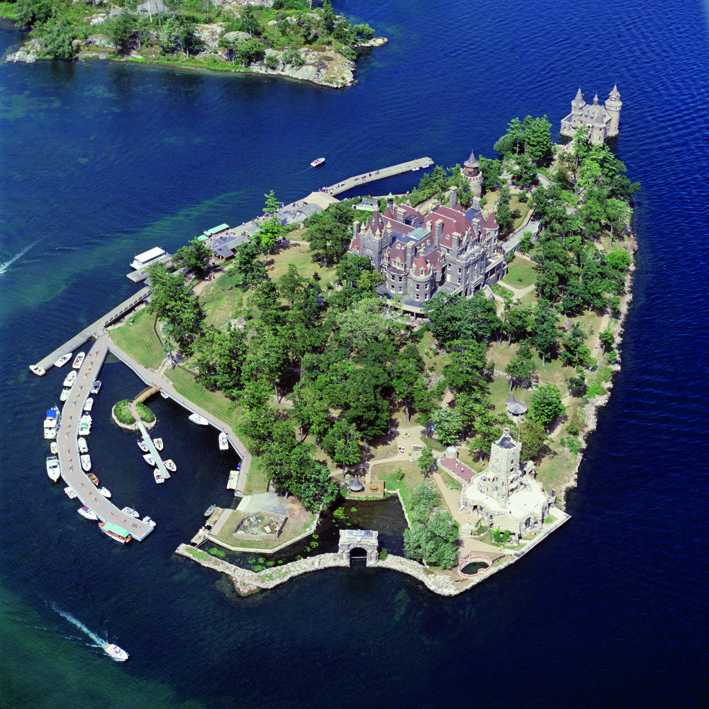 Home to the magnificent Singer Castle, the jewel in the crown of the 1000 Islands chain has attracted attention ever since Frederick Bourne – President of the Singer Manufacturing Company – commissioned its creation towards the end of the 19th century. 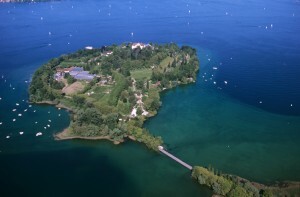 Most recently used as the location for reality TV show “The Great Escape”, Singer Castle also forms a great location for weddings, anniversary celebrations or even a family vacation. Located just off the banks of Lake Constance, the Castle of the Teutonic Order can be found on the unashamedly picturesque Mainau Island. A highlight for horticulturists, the island is completely covered in colorful displays of snow drops, wild roses, dahlias and much, much more. It is the island’s baroque castle (built between 1739 and 1746) that truly steals the show, however, forming a dramatic backdrop to the many banquets and wedding ceremonies that take place here. 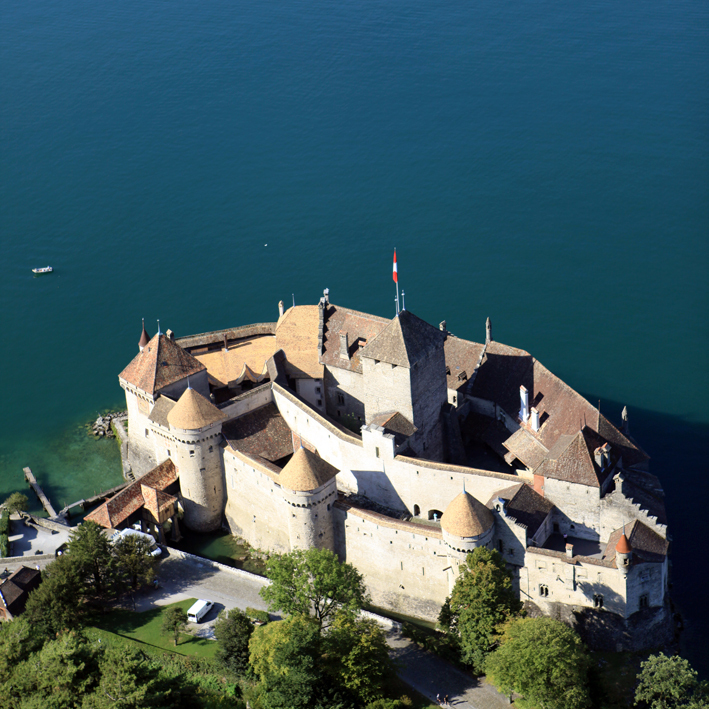 Located along the shores of Lake Geneva, and with the snow-capped peaks of the Alps visible in the distance, it’s little wonder that Château de Chillon is one of Switzerland’s most visited historic monuments. A veritable architectural jewel, the castle has inspired scores of writers and artists, including everyone from Jean-Jacques Rousseau to Victor Hugo and onwards to Lord Byron and Delacroix. 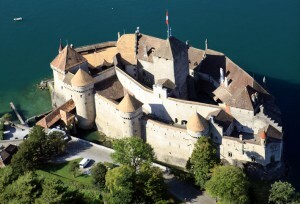 Why not let it inspire you, too – Château de Chillon can also be booked for events, meetings and special occasions. 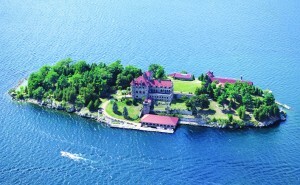 Intended to be the most romantic Valentine’s Day present of all time, the construction of Boldt Castle began in 1900. 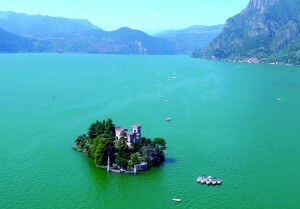 After changing the shape of the island’s shoreline to resemble a heart, wealthy hotelier George Boldt then began construction of a lavishly appointed 100-room castle – all with the aim of impressing his one true love, Louise. A happy ending was not in sight, however – Louise tragically passed away before the project was complete, plunging George into a deep despair and causing him to abandon the project completely. The island was later purchased by the Thousand Islands Bridge Authority, who rescued the island castle from its disrepair, investing tens of millions to restore the castle to its original opulent state. 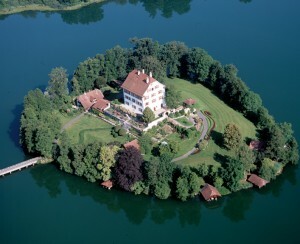 Have your say: Which of these magnificent private island castles would you like to steal away to? Share your views* via Facebook, Twitter or Google+ to be in with a chance of winning a copy of SWISS AND ALPINE ISLANDS – a brand new coffee-table book published by teNeues. *= Terms and Conditions Apply: The competition is open only to residents of the EU. A winner will be picked at random and will be announced via the Private Island News Facebook Page on the 1st of July 2014.